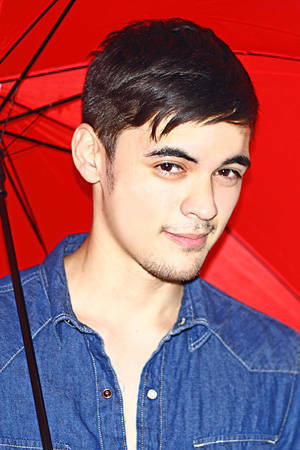 Cosmo.ph columnist Bianca Valerio interviews the hot Fil-Aussie model who recently joined the blogging community. Learn why he's worth a second look (or more)! Bloggers are a dime a dozen these days--at the click of a mouse, you can surf through millions of sites revolving around topics as vast as fashion, food, fake accounts, feelings, and just about anything else you can think of! Now, a particularly handsome person joins the blogging community: Robbie Becroft. As a professional model, Robbie is used to being in front of the lens; but this time, he chooses to stay behind it as he takes on his new role as blogger. His blog Robbie Off Duty has only been up for less than a month, but it already had up to 30,000 hits in one day! We decided to find out what exactly this Fil-Aussie's got up his stylish sleeves that makes so many admirers gravitate to his domain. Read on for our exclusive interview with him below. What are you currently busy with in Manila? Aside from modeling, I just recently started my blog. It's kept me quite busy these days because along with blogging, I learn how to take and edit photos, which is all so new to me. You're first and foremost a model, but what made you decide to start a blog? Well, my friends Carlos Concepcion, Laureen Uy, and Camille Co are all fashion bloggers in the Philippines. So, naturally, an interest in photography followed. I take majority of Laureen's outfit photos for her blog, and it was at her suggestion that I finally got into blogging. What's your blog about? What makes it different from other blogs? Robbie Off Duty is a personal blog and [a peek at] what I do when I'm not modeling. I blog about fashion in the Philippines today, my inspirations, and all the memorable experiences I'm having here. It's not completely different from other blogs, but I guess what separates mine is my individuality and personality. I don't strictly blog about fashion and the camera isn't always focused on me; it's also a blog that shows people how fun the Philippines really is. What are the types of things you normally feature on your blog? I like to take candid photos of people at events I attend and show the readers if the event was really fun or not. I don't like having too many photos of myself on the blog because I don't want my blog to be all about me. I also don't want my viewers to think I am overly vain, or something along those lines. What do you want to achieve with this blog? I want people to recognize that good style isn't always about how much money you have. There are so many different places aside from the usual Zara and Topman where you can buy really trendy clothes. Like ukay-ukay, for instance. I'll be honest: I have a few clothes that I've bought from thrift shops that totally turn people's heads. It's all about developing an eye for what's practical and what's not. I also like to blog about the locations I go to and the experiences I have. In turn, I give my readers some great ideas. Some include places to take people on dates, or where to just chill with the fellas. What do you think about blogs that exist solely to bash and cyberbully people? How can your blog positively contribute to the blogging community? I don't believe in judging anybody. Everyone is on this earth for a reason, so who am I to judge or question what people do? I obviously don't like those cyberbullies and [think] they should learn to be more tolerant. Tolerance would make the world such a better place. I encourage my readers to give me feedback because I'm still very new to the Philippines and I have a lot to understand. So, if my readers want to correct some things that I blog about, or want me to add certain things, I will definitely take their views into consideration. You're obviously a good-looking model. Do you think this helps in promoting or getting material for your blog? I guess, realistically, being a model helps because I'm modeling in the clothes I blog about. And I guess it also helps build my personality. I don't want people to think I'm only a model. I have a lot of passions and ideas to show readers. Other than modeling and blogging, what do you like to do for fun? I'm a bit of a fitness freak. I just like to get away sometimes and really make myself feel good. Boxing is great for that, and I also get to relieve some stress. In my off-time, I just love to chill with my mates. Most of my close friends are half-casts, as well. We just get each other, I guess. But I also have a lot of full Filipino friends. Obviously photography is my latest hobby, but I guess that ties in with the whole blogging idea. You meet a lot of hot girls in your line of work. What are your turn-ons and turn-offs? What does a regular gal need to do to catch your eye (and maybe even land a spot in your blog)? Style. If a girl [makes] the effort to dress well, she stands out in my books. Like the other day, I took a photo of a girl's tattoo [which] I found really cool! And I didn't even know her. Launch the gallery to see photos of this hot new blogger!